Founded in 1848, the Veneklasen Brick Company started with a small clay field in Holland owned by Jan Veneklasen and his sons. By the 1890s, the company, then incorporated as the Zeeland Brick Company, had produced millions of bricks which were shipped as far as Chicago and Traverse City. Though the company no longer exists today, the distinctive architecture crafted out of the many colors of Veneklasen brick have left a lasting impact on the appearance of Holland. In 1847, Jan Hendrik Veneklasen and his family immigrated to America from the Dutch province of Oveijssel. Like most Dutch immigrants, Veneklasen began life in West Michigan as a farmer, but his son Berend soon began work in a brickyard in Allegan. Berend reported to his father the potential for success in the brick-making industry, and in 1848, Jan and his sons started the Veneklasen Brick Company with a small clay field located on present-day 16th Street, just across the street from Van Raalte farm. When they began, brick was not in high demand. Lumber and carpenters were readily available in Holland, so most new settlers chose to build log homes. However, brick was still necessary for foundations and chimneys, and importing brick into West Michigan was difficult. 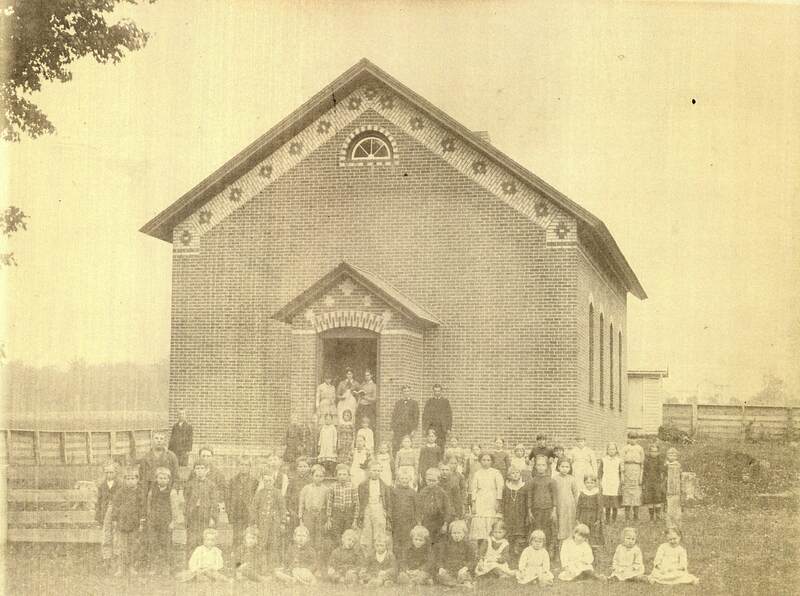 Records show that in the year 1850, the Veneklasens produced about 50,000 bricks. In 1853, the company moved to a larger brick yard in Groningen where they produced 4,000 to 5,000 bricks a day, about 100,000 each season. Brick homes were popular in the Netherlands, and in 1850, the first brick homes were constructed in Holland, MI, including a home belonging to the Veneklasens. Veneklasen brick was also used to build Van Vleck Hall on Hope College’s campus—an impressive structure referred to as “the centerpiece of the institution.” In a July 1855 edition of De Hollander, a journalist reports on a visit to the brick yard in Groningen where “Veneklasen & Son and a few others were quite busy.” The writer remarks, “It gives us not a little joy to see that this business is already expanding significantly.” Yet only the wealthy could afford a brick home. One record indicates that a brick house cost $360 to build. In 1867, one thousand bricks cost $6, the equivalent of a week’s worth of wages for the average Hollander. As the area developed, the demand for brick grew, and the Veneklasen Brick Company grew with it. After the Holland fire in 1871, lumber became harder to acquire and less popular. Cost of materials, wages, and insurance rates went down, and new immigrants continued to arrive, leading to a housing boom from 1870 to 1880. The Veneklasens established another brickyard and factory in Zeeland in 1872. Later, a second yard was added in Zeeland as well as yards in Cloverdale and Hamilton. Thanks to new technology in brick making, by 1876 the company was able to produce 20,000 bricks per day. When a branch from the Chicago – West Michigan railroad ran directly to the Zeeland brickyard, the company gained access to a larger market. At one time Veneklasen bricks were shipped as far as Traverse City and Chicago. In 1892, five of Jan Hendrik Veneklasen’s eight sons took over the business and incorporated it as the Zeeland Brick Company. At its peak in 1893, the Zeeland Brick Company produced 20 million bricks, accounting for up to 25 percent of the total brick production in Michigan. Brick homes were beautiful, but the work in the brickyards was far from glamorous. Brickmaking began with digging clay from the fields and mixing it with sand for added strength. This mixture was then set into wooden molds, or, starting in 1870, extruded by a machine so that the bricks could be cut into a uniform shape. Workers dried the newly formed bricks for three weeks and baked them in kilns at temperatures of 950-1150 degrees Celsius. The color of the brick varied depending on where the clay came from. For example, the Groningen yard produced red brick while white brick came from Zeeland. Orange brick became more popular after 1900. Multiple colors of brick equipped masons to create distinctive patterns under eaves and window arches so that no two buildings were exactly alike. This polychromatic brickwork may have been adapted from the Netherlands or originated with the Veneklasens themselves, but either way, it became a distinctive style in the area. Work in the brickyards was hard, and it could also be dangerous. Employees worked up to ten hours a day, although never on a Sunday. One of the Veneklasens was blinded by sparks from the kiln and another man lost part of a hand while working in the yard. However, the company provided competitive wages, and for a time the Zeeland brick yard even provided free lunch and dinner for workers. Despite their near monopoly on brick in the area, the Veneklasens were well-respected for always doing fair business and constantly seeking to improve their technology. A couple decades after its peak, the Zeeland Brick Company began to lose business. Records from 1910 to 1920 show fewer men employed in the brickyards and that in one yard a damaged kiln was torn down and never replaced. Many factors could have played a role in this decline such as dwindling clay supply and lower demand for bricks. The most likely culprit though was the increased availability of cheap transportation; larger brickyards in other states could produce and ship bricks at a much lower cost than local brickyards like the Veneklasens’. The Hamilton yard also experienced a fire, causing even more financial burden. The Veneklasen sons who had faithfully run the business had died or were nearing retirement, and the next generation of Veneklasens was pursuing careers in other industries. 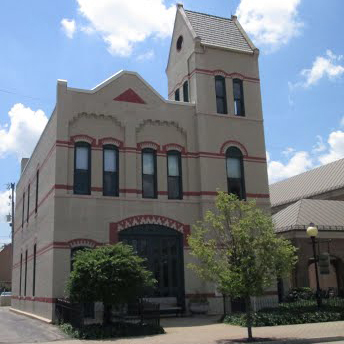 In 1922, The Holland City News reports that certain creditors asked that the Zeeland Brick Company be declared bankrupt, but the court denied the creditors’ claim. The report cites the setbacks the company had faced, including the fire at Hamilton, a coal shortage, and a railroad strike, but notes that the business was still reasonably profitable and that a strong demand for brick remained. Despite the paper’s optimism, the company did go bankrupt a few years later, and larger brick companies bought the few remaining brickyards in 1925. Though it was eventually bought out, the Zeeland Brick Company made a noticeable impact on West Michigan that can still be seen today. It is estimated that 100 homes with patterned brickwork still exist across West Michigan. At least one third of the buildings on Holland’s main street are made of Veneklasen brick, as well as Van Vleck Hall, Voorhees Hall, and the president’s home on the Hope College Campus. The polychromatic brickwork remains one of the few distinctive examples of Dutch-American architecture, yet many of these homes have been destroyed in order to create more land for suburban development and farmland, revealing a need for awareness and preservation efforts. Douma, Michael J. Veneklasen Brick: A Family, a Company, and a Unique Nineteenth-Century Dutch Architectural Movement in Michigan. Grand Rapids, MI: W.B. Eerdmans, 2005. H04-1540.5. Zeeland Brick Company (1848-1925), Papers, 1848-2004, Joint Archives of Holland, Hope College, Holland, MI. Stegeman, Abraham. “Historical Sketch of Groningen.” In Dutch Immigration Memoirs and Related Writings, ed. by Henry Stephen Lucas, 162, Grand Rapids, MI: W.B. Eerdmans, 1997.